Have you ever wondered to yourself 'does eating peanut butter help you lose weight'? So you then think it would be wise to ditch the peanut butter, right? The short answer is no and you might want to know about the benefits of eating peanut butter. You don’t have to get rid of one of the best foods known to man when you’re on the road to conquering your weight loss goals. It can be done, but not without following a certain set of guidelines. Unbeknownst to those who are eating right to lose weight, peanut butter has it’s share of health benefits. For example, peanut butter contains monounsaturated and polyunsaturated fats. Not to mention, it contains healthy nutrients like potassium. Potassium has been linked to having healthy blood pressure levels. Peanuts and peanut butter have also been linked to the reducing the risk of heart disease and Type 2 diabetes. Yet, the reason why they ditch it is due to calories and fat. Some peanut butter brands actually add sweetener. 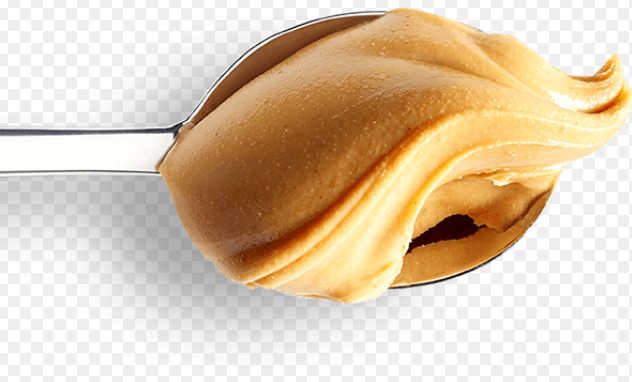 Two tablespoons of peanut butter will roughly come out to about 190 calories with 144 calories coming from fat. Aside from the off-putting nutritional stats, the benefits of eating peanut butter has been linked to controlling your hunger without the weight gain. That’s because peanut butter will make you feel full. According to one study, women who eat more nuts in their diet are less likely to gain weight over an eight year period. In short, peanut butter prevents overeating, which in turn will lead to weight loss. But it’s important to watch your fat intake anyways should you include it in your diet. Those who include peanuts or peanut butter in their diet were able to adjust their diets so they were unable to lose weight. Perhaps surprisingly this occurred even if they ate more calories in total for both foods. For those losing weight that rely on rice cakes, here’s an interesting fact. If you were to eat nuts or peanut butter, your hunger will likely stay dormant for longer periods of time. For those who love Rice cakes, they will likely hold you over, but but for no longer than a half hour. 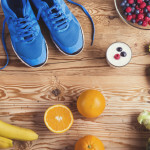 Altering a diet that includes having known the benefits of eating peanut butter, those who lost weight made minor changes. Some included a decrease in saturated fat intakes while increasing an intake in monounsaturated and polyunsaturated fats. Monounsaturated fats have been linked to increasing the “good” cholesterol without increasing the overall blood cholesterol. By now, you’ve probably figured out how you can eat peanut butter and lose weight at the same time. If not, we will tell you... eat it in moderation. Two tablespoons of peanut butter is equal to one serving. It would go great with toasted whole grain bread with fruits and vegetables for breakfast. If you’re eating salad, substitute croutons for toasted peanuts. 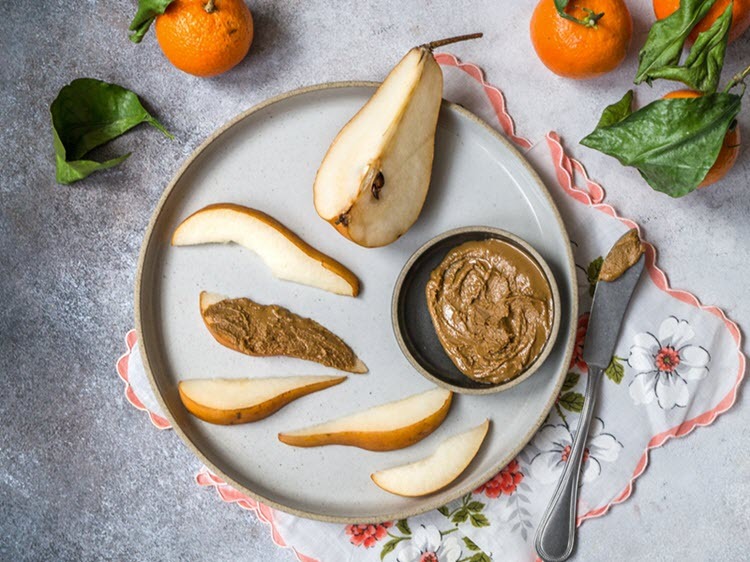 Snack-wise, you can never go wrong with the tried and true favorite of apple slices with peanut butter as dip. 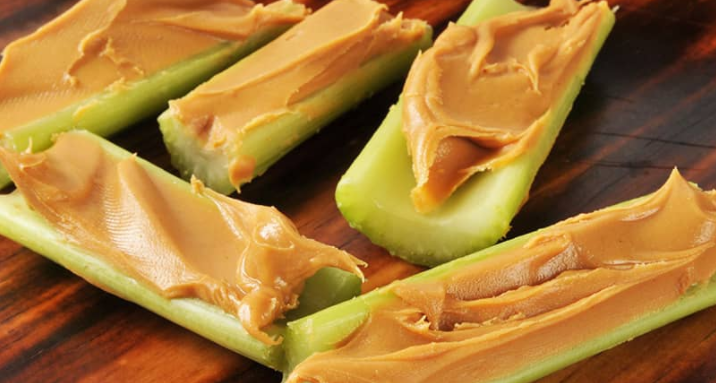 Celery and peanut butter go very well together as a snack also. If you really want to remove sugars and added fats found in most peanut butters, you can make your own. In order to make your own peanut butter, the best place to start is looking in the bulk section of your grocery store. Second, look for a grinder that would be used to make peanut butter. When you think of the benefits of eating peanut butter, feel free to add any sweeteners or salt if you wish to do so. You’ll be surprised that natural peanut butter is way better to mix or dip with compared to the major, store-bought brands. Should you choose to stick with the store-bought brands, it would be unwise to hold back any information that should influence your decision on which one to choose. While we may not be dropping names (Jif, Skippy, etc. ), it’s important to know what to stay away from and what’s OK. All it takes is taking a moment to read the label. The obvious deal breakers for any peanut butter brand should be ones that contain hydrogenated oils and added sugars. If you’re looking at low-far or reduced fat peanut butters, the taste may not be the best. And in order to make up for the fat, those types of peanut butter will throw in added starches or sugars. If you want the full nutritional value, opt for the regular peanut butter.. Finally, when it comes to the benefits of eating peanut butter, you can never go wrong with the organic option. This is for those who show concerns about the possibility of fungicides being contained in regular peanut butter.